As you all know, I recently spent two weeks in Costa Rica, with the first week spent leading a tour and the second week traveling to other parts of the country with a couple friends. The tour was a custom trip for two families from the Cincinnati, Ohio area. This made the trip extremely fun for me, as it was the first time that two of the young birders had seen most of the birds that we found! 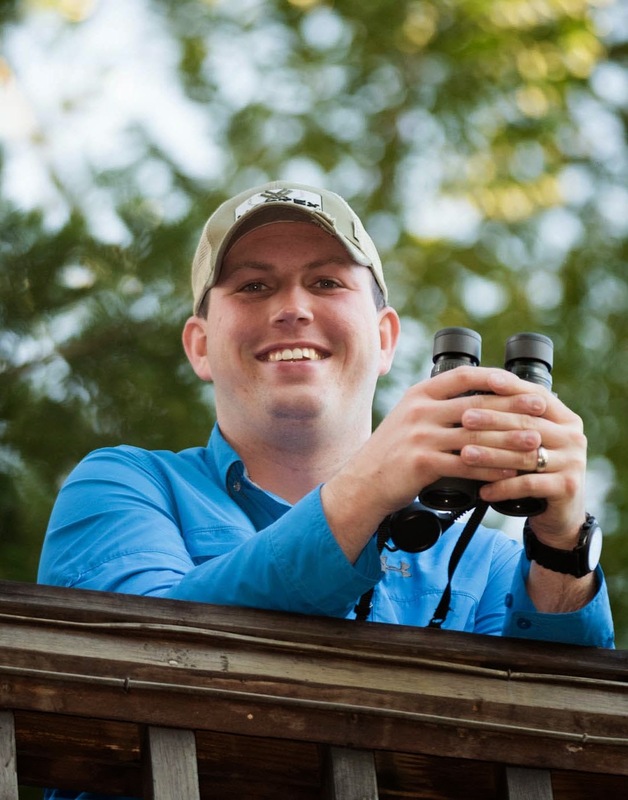 You can read about Ethan and Tyler's (the two young birders) experience on their blog, Cinci Young Birders. In order to really cover everything that I experienced while I was in Costa Rica and to do justice to all of the amazing things the country has to offer, I decided to break my posts down by each lodge that we stayed. So now, the first part of my adventure - arriving in San Jose and our first day at Rancho Naturalista. On my first day, I arrived in San Jose a little before noon and quickly made my way though customs after seeing my first lifer for the trip at the airport - a Gray-breasted Martin. I was hoping to have some time to go birding that afternoon, but it was pouring outside so the local guide that I hired for the week took me straight to my hotel. My group arrived the next morning, and we immediately started our drive to Rancho Naturalista. Along the way, we took time to stop at a lookout point and then made our way to the Ruins of Ujarras. This was a great place to get out and stretch our legs while seeing some really cool birds. The highlights were Provost's Ground-Sparrow, Blue-crowned Motmot, Common Tody-Flycatcher, and Crimson-fronted Parakeet. 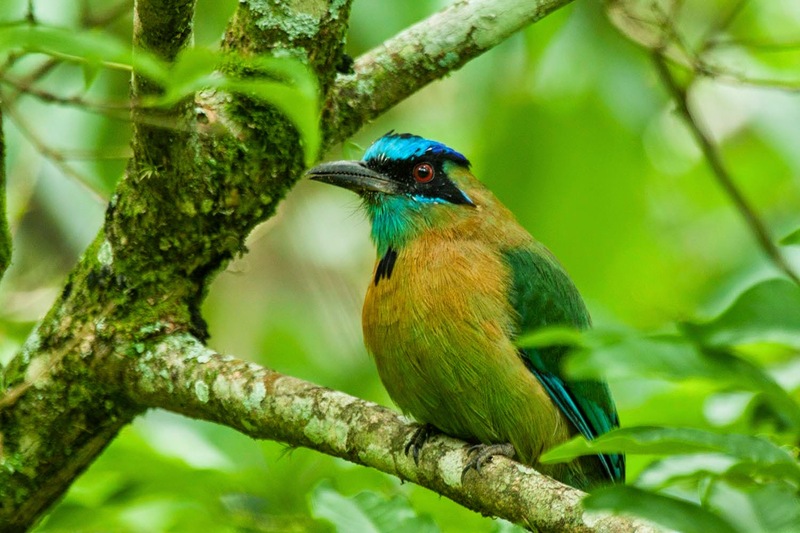 This Blue-crowned Motmot was extremely cooperative and was posing for the cameras! 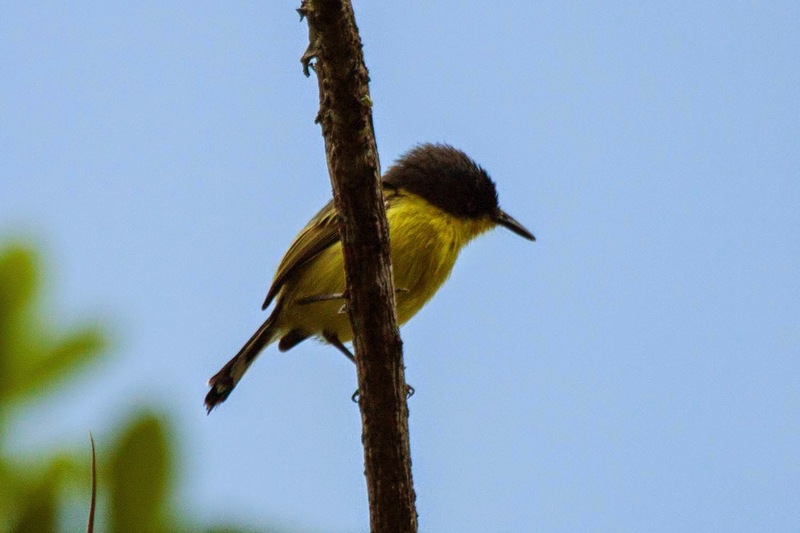 Common Tody-Flycatchers are small, but they have a lot of personality. This bird was was checking us out and trying to figure out what we were doing with our cameras! 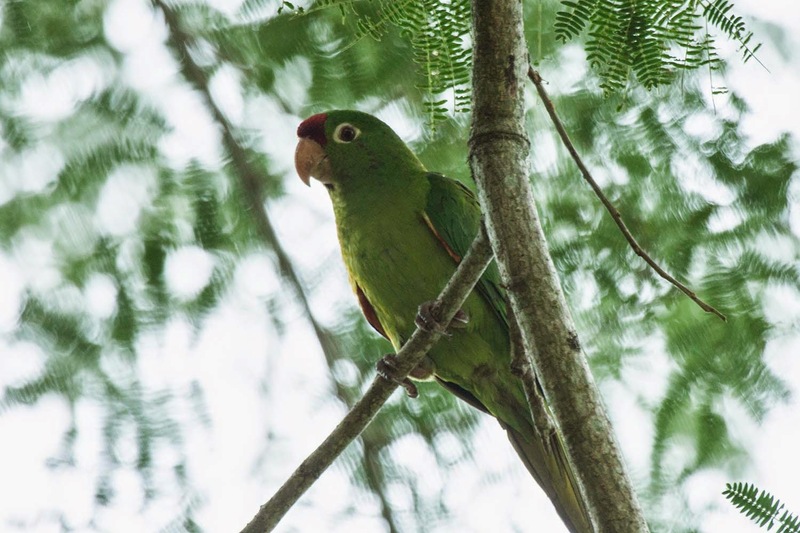 A large flock of Crimson-fronted Parakeets spent a long time flying around the ruins and would land from time to time. Luckily this one landed near me so I could snap this photo. 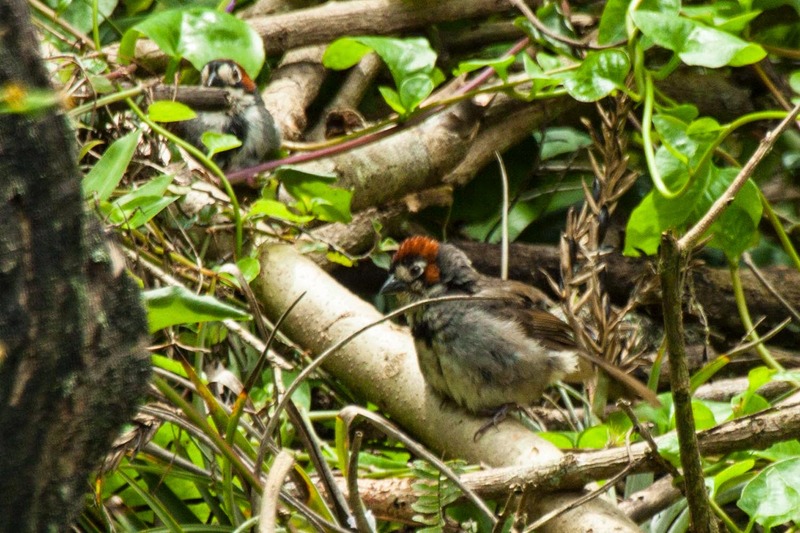 One bird that I really wanted to see while in Costa Rica was the Provost's Ground-Sparrow. It was really amazing to find them on the first day of birding! Once we felt that we had seen all the birds that the ruins had to offer, we headed off to lunch in Turrialba. 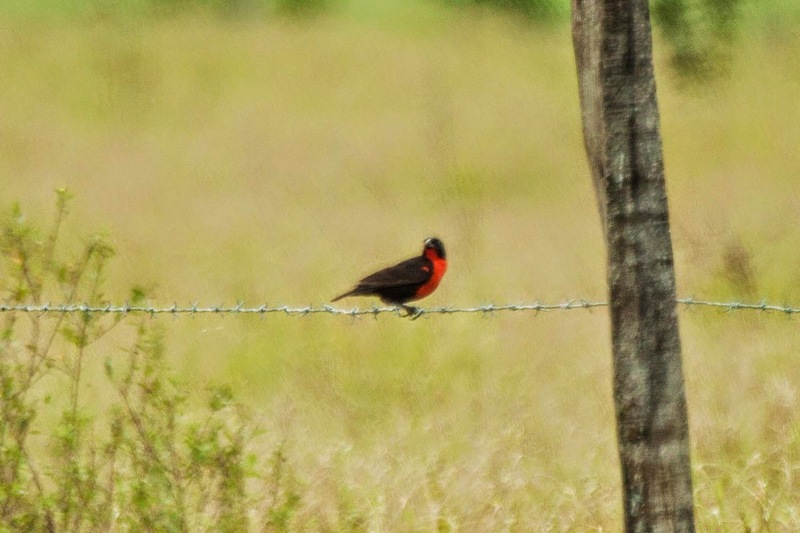 After lunch, we stopped at and around Casa Turire and were extremely excited that Red-breasted Blackbird was one of the first birds that we saw on the beautiful grounds! 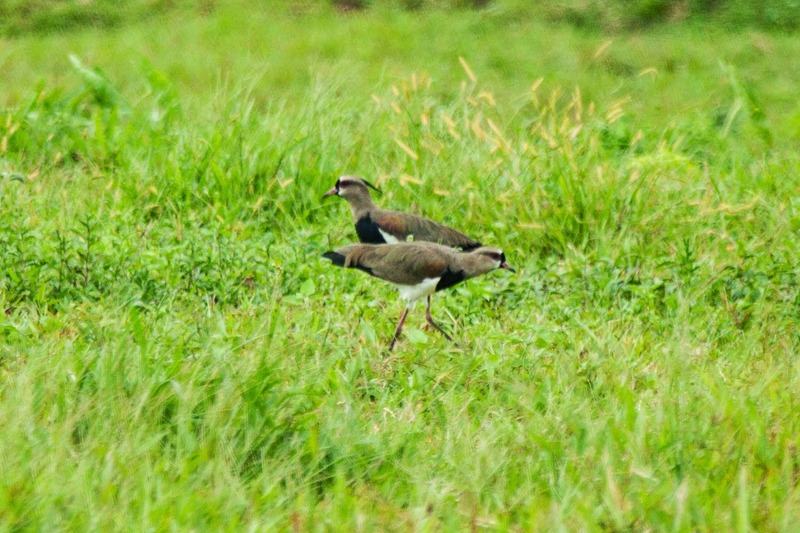 Once we moved onto the main part of the property, we quickly found a pair of Southern Lapwings and three Green Ibis! As excited as I was about all of these birds, some members of the group were even more excited when we found our first Keel-billed Toucan of the trip. I was surprised by how striking this Red-breasted Blackbird was. The local guide that I had hired didn't tell us that he was taking us to a location that had Southern Lapwings. Man were we surprised when we saw these guys! As we arrived at Rancho Naturalista, the staff was there to welcome us to the property and to help us get all of our luggage to our rooms. We immediately felt at home at Rancho Naturalista (more about the property in another post) and couldn't wait to start exploring! Unfortunately, there was only about an hour of daylight left, but we made the most of our time watching their bird feeding station. Everyone was amazed at the number of hummingbirds zipping around the feeders! 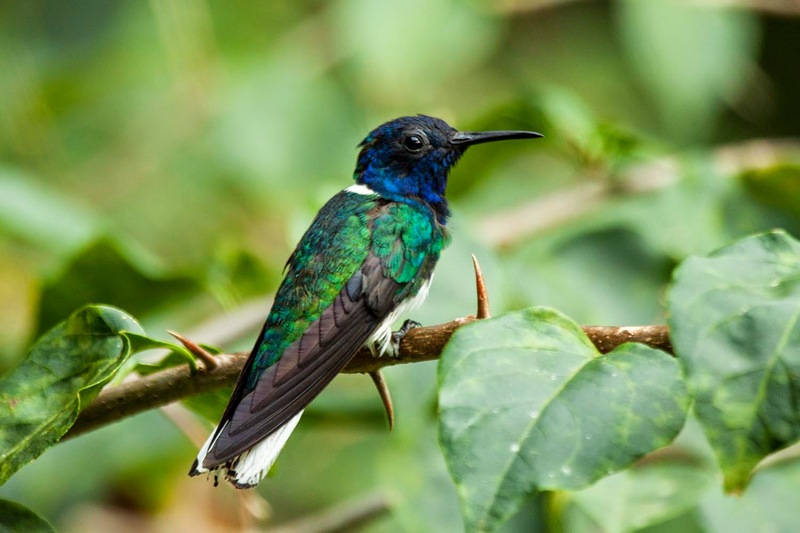 White-necked Jacobins are the most common hummingbirds at Rancho Naturalista and do their best to chase all of the other hummingbirds off when they can. I've seen Long-billed Gnatwrens before, but they have never been easy to photograph. I was very happy to get this shot! Since we still had some time before lunch, we continued on to the more wooded trails on the property. 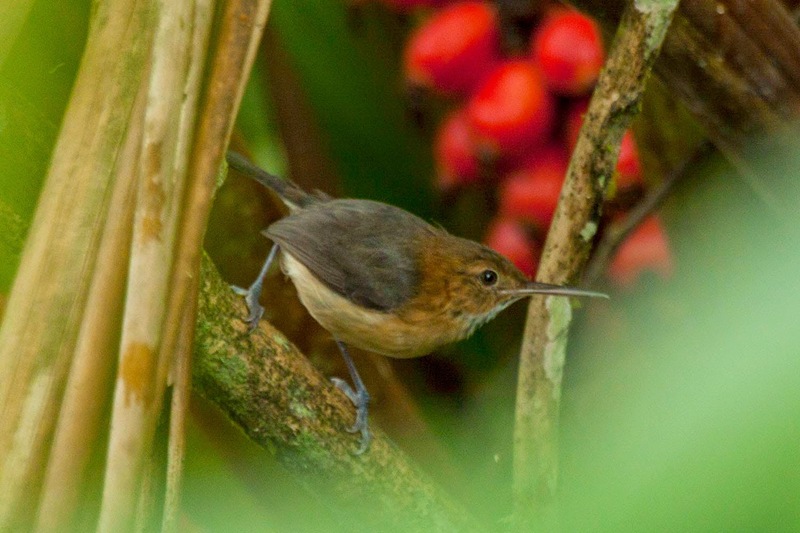 The best birds were Rufous Motmot and White-ruffed Manakin before we hurried off to find our delicious lunch waiting for us. (Complete eBird List) After the wonderful lunch, we were all feeling ambitious so we decided to hike up to the higher elevation areas of Rancho Naturalista. The hike had some elevation change but wasn't too tough, and it produced some awesome sightings. We were surprised to happen upon a group of four Crested Guans high up in the trees. Just around the corner from the guans, we found 2 White-crowned Manakins on a known lek! (For those that don't know, a lek is a location that male birds go to in order to put on breeding displays for females.) We knew we still had quite a hike back to the hummingbird pools to watch the afternoon show so we made our way back as quickly as possible. It was at the pools that we got our first looks at the amazing Snowcap. While watching the hummingbirds, Harry, the guide from the lodge, found a Dull-mantled Antbird which was a lifer for our whole group! 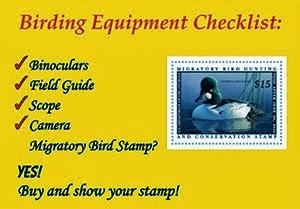 You can see our complete list from the afternoon (Complete eBird List). 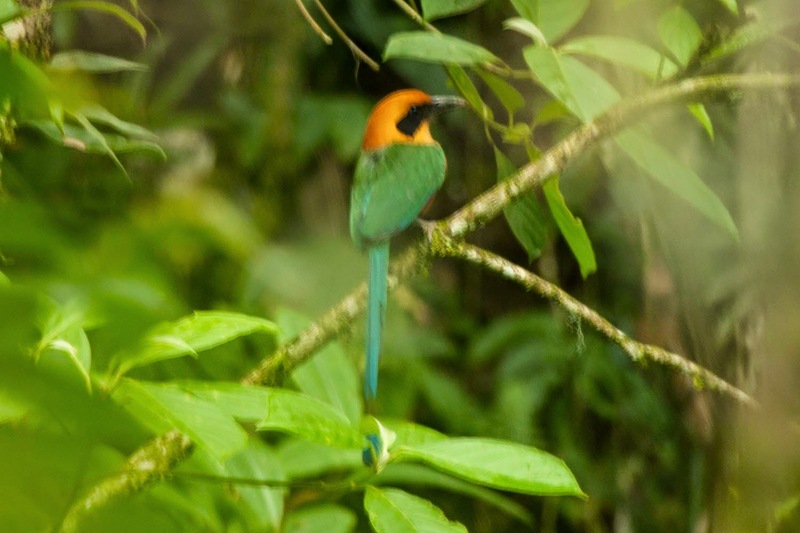 The photo is a little blurry but it was the best I could do with this Rufous Motmot. 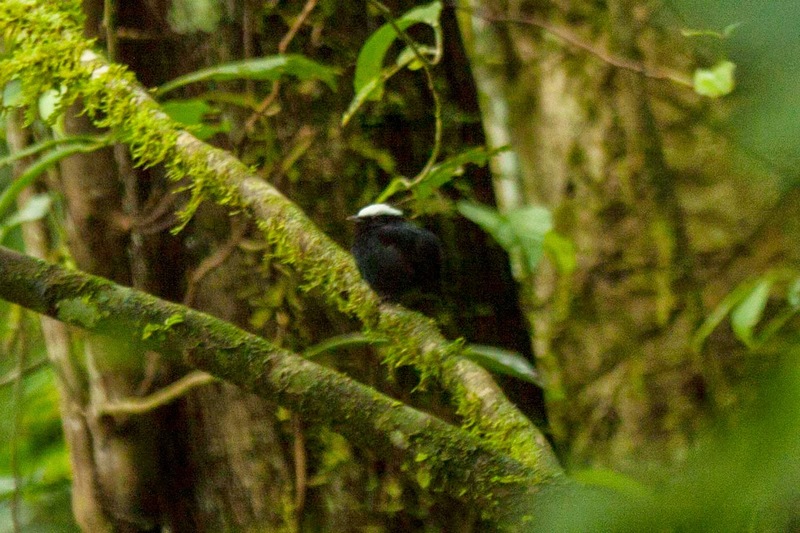 It was getting quite dark in the forest when we found this White-crowned Manakin. The photo isn't great but we did have amazing view of this species. Our day ended with another incredible meal back at the lodge. Check back soon to hear more about Rancho Naturalista and the rest of our time there!